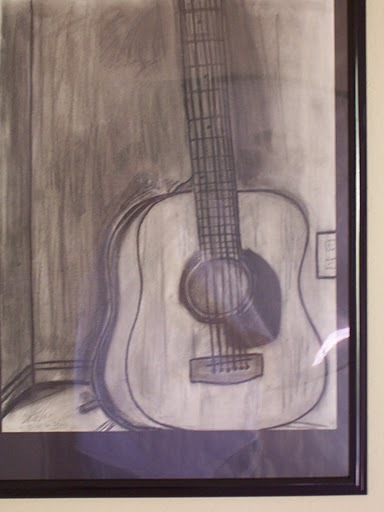 Playing the guitar can be simple or complicated. A great number of rock and pop songs are played with just a few basic chords. Much of the great lead guitar blues music every played has been a result of the pentatonic scale and a closely related blues scale with a flatted 5th, played over a I, IV, V chord progression. For example: A 12 Barre Blues in the Key of G would be just 3 chords. 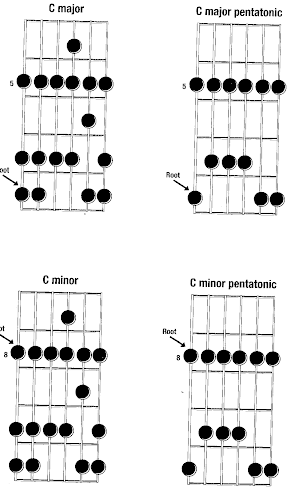 G, C and D. You can use the relative minor to G, which is E minor pentatonic scale and make some great sounding licks. You just have to increase your finger dexterity and muscle memory so you can play effortlessly without thinking about what notes you are hitting. Once you get to this point you can let your emotions take over your playing and let the Blues flow. Both the G Major and E minor scales have only one sharp note. The F is sharped or raised one fret in both Keys. Therefore you can use E minor to create blues leads in the key of G. Try it out and see if you can hear the familiarity with so many popular songs. The following video may be of help to you if you are trying to increase your finger dexterity and learning to play lead guitar and the blues. Also check out the post finger dexterity and accuracy for a finger exercise that is a must use for anyone trying to build scale proficiency. The Pentatonic scale, specifically the Minor Pentatonic and the Blues Scale that is closely related to the minor pentatonic scale, is used by almost every guitar player. It is the main ingredient to Rock, Pop and Blues Guitar. Here is a video of a minor pentatonic scale followed by a blues scale that has a flat 5 added. It is only one more note but it it gives the scale more of the blues sound. The following video will help you see how certain scales are played and how they can be movable. You can increase your finger dexterity by playing scales from different root positions over and over.